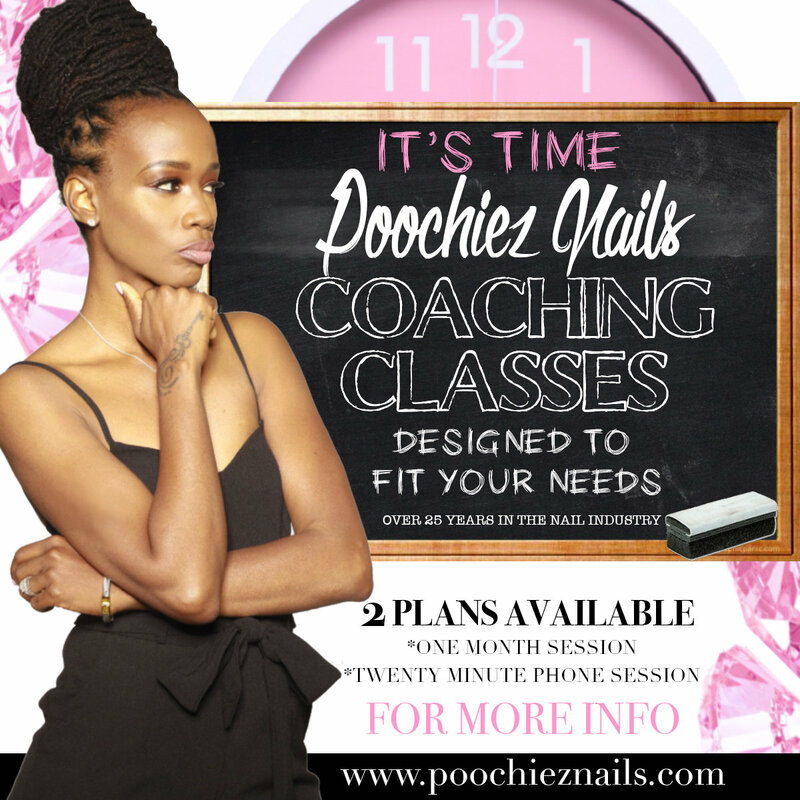 Poochiez Nails Coaching Session is a great option. Do you have a Business, is your company currently on social media, do you feel it needs improvement? Let Poochie guide you, she will give you real-life insights and answers to your real-life challenges. Weather you need advise about salon business, personal development, marketing, branding or all, this session is perfect for you. She will take a look at your social networks and provide you with information that will help you improve your business, engage with your audience and SO MUCH MORE.